Well May is nearly over, can you believe it? I just decided to doodle some wee hearts here over the grey base. 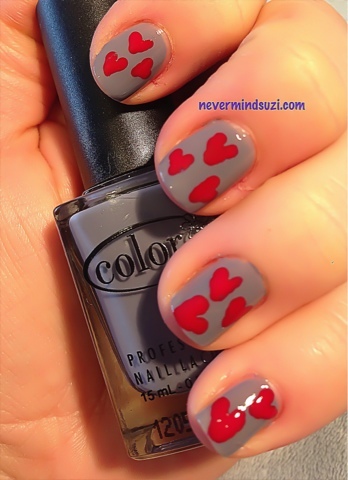 Very cute:) It seems like everything goes well with grey nail polish.